Yesterday I mentioned that The Lovely One and I have some specific needs for more money than my retirement pension provides. Too true. “But for what?” you ask. Yes, after just about exactly two monthsʼ delay, we are getting our new driveway. Rain and heat had put off the promised commencement of work. Our guy called on Sunday morning (at 8:00) to ask if it would be all right if they came and took out the old concrete that day. Living as we do between two churches, we were a little uncertain how polite the destruction of our driveway would be for services, but as we had waited and waited for this day to arrive, we gave in immediately, and the crew and their excavator arrived by 9:00. Janet and I had plans to do some shopping in Davenport, so as we left around 11:00, the thumping of the excavatorʼs pneumatic drill recently had become familiar (and not too loud, we hope). 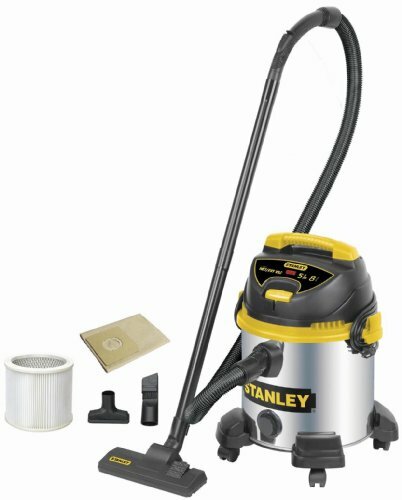 We had a great day in the Quads, hitting up Menards for their advertised dollar-days sale (leaving with a shop vac — oops, that is a brand name; ours is a Stanley Stainless Steel Wet/Dry Vacuum — that was not just a dollar, or even five, but which we have been wanting, perhaps needing, for a while now). Janet also returned some things to Dress Barn while I spent five free Borders Bucks on anything to use them before they expire at the end of this month (I walked out with an annotated translation of the Quʼran in hardback that I had picked up to consider but then not buy in paper several times over the past couple of years). We also visited the wine shelves at the nearby Hy-Vee liquor store — mostly for her, I sigh to say. The best part of the day was lunch (always my favorite thing to do, and the only reason usually that I even tolerate shopping) al fresco at Café Indigo. It was a bit brisk and decidedly windy (and the staff was vastly busier than anyone had anticipated), but our table umbrella, although lifted and turned frequently, did not actually take flight (nor did our food, silverware, drinks or napkins). Janet had their salmon salad, which she loves. I went (once again) with the Grilled Vegetable Panini, and it was great, especially with a side salad and chipotle ranch dressing on the side of that. Ninety minutes after we started (and a long, leisurely lunch for us is a good thing), we headed for Target (actually, itʼs a SuperTarget) to stock up on cards for approaching birthdays and anniversaries, search futilely for disposable razors that do not have those damnable aloe strips (which do nothing for either of us but make our skin feel creepy and greasy, and which therefore we do not want on our razors), and acquire a few grocery items. We separated at checkout, me to pay for our purchases and Janet to acquire some Light Frappuccinos for consumption on the drive home (which we did, and they were delicious, even without excessive heat). We got back in Maquoketa about 4:00 to find the driveway gone (at least the concrete, leaving a strange depression and emptiness floored with sand) along with our workers. The sandy pit stretched where the drive should have been, up to the garage, with a two-foot step up to the garage door (or the steps to the front door), making for an awkward entry, which we both enjoyed having to perform. Instead of our usual Sunday evening drinks on the driveway, we retreated to the back patio, which we discovered our trees have made into a shady and pleasant spot, only mildly disturbed by the rattle and hum of the Fareway refrigeration units. Our evening was further excited by a small fire just across 61, as a camper behind the car wash or laundromat had burst into flames that the fire department quickly subdued. And we ended the day, of course, with the next episode of I, Claudius, bringing John Hurtʼs recklessly nuts Caligula to the throne. The driveway guys came back Monday to brace in place the wooden frame for the new concrete that supposedly got poured in place Tuesday. They stayed all day, even while I was gone to get my bloodborne pathogens training at Andrew School (which wasnʼt bad at all, although the comedy guy used in the video was somewhat too selfconsciously cute), filling the “hole” with what looks like sand (and which I hope is the promised two truckloads of lime/limestone). After I ran yesterday, and while you may have read the Tuesday post in a timely fashion, the concrete should have been getting poured. Hooray! By today, we hope itʼs been drying for perhaps almost twenty hours. Our cars may have to dwell on the street for a few days, but itʼs all good to us. Mowing the yard could be tricky (mostly me getting the mower out of the garage), but I am not averse to having reasons to avoid that chore (as I believe you will learn tomorrow). And as The Lovely One has observed many times since we made the decision to redo the driveway, I am going to enjoy not encountering all those shovel-stopping, shoulder-snapping, bone-jarring, arthritis-stimulating concrete cracks as I shovel us out this winter (and many future winters, too). Of course, the new driveway isnʼt happening for free. Nor is the new furnace/boiler that we also decided to have installed (the old one is the original boiler from 1967, and Janet has been worried about its continuing value, effectiveness and safety). Nor free will be the vacation we are attempting to get finalized for this fall. In fact, with these new things and travel, I will have spent all that I made with the Census (which is more or less spent already, too) as well as most of my early retirement bonus from the school. And weʼre still making house payments! Just a note added on Wednesday, about noon — the guys actually came to do the drive today (too wet yesterday/Tuesday, I bet), accomplishing the whole job in about three hours. Now the drying process can begin. This entry was posted in Essay, kitty, Writing and tagged blog update, career, nonfiction, retirement, the Aughties. Bookmark the permalink. I love to read your posts – since I enjoy your “attempts at humor”, wich I find much more than attempts, Its my lunch time pleasure these days. I will have to write a few texts in English this fall and I would definitely like (and need) to ask for proofreading (which is a friendly word for ridding my texts of crude mistakes).